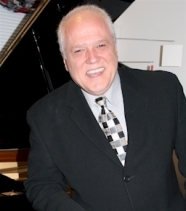 Jimmy Brière is recognized as one of the most brilliant Canadian pianists of his generation. Praised by the critics for his inspired performances, Jimmy Brière’s career has taken him to all parts of Canada, the USA as well as Europe and the Middle East. In Canada, he has been heard with the Montréal Symphony Orchestra, Québec Symphony Orchestra, the Orchestre Métropolitain du Grand Montréal, I Musici de Montréal, the Orchestre de la Francophonie Canadienne, the Sherbrooke Symphony Orchestra and the Orchestre Symphonique du Saguenay Lac St-Jean. Abroad, he has played in Bulgaria (Pleven Philharmonic and Ruse Philharmonic), Israel, Portugal (the Orchestra Classica of Porto), and in the United States (the Indiana University Symphony Orchestra, and the South Bend Symphony Orchestra joining Alexander Toradze in Mozart’s Concerto K. 242). Jimmy has collaborated with Yoav Talmi, Leon Fleisher, Tsung Yeh, Simon Streatfield, Yuli Turovsky, Paolo Bellomia, Jean-Philippe Tremblay, Jean-François Rivest, Stéphane Laforest, and Marc David, etc. He has also played with Edgar Meyer, James Campbell and the New Zealand String Quartet, to name a few. Jimmy Brière has played in recital or chamber music concerts in Indianapolis, Dallas, Chicago; Tel Aviv and Jerusalem; in the Place des Arts of Montréal in the Pro Musica Series, in Palais Montcalm in Québec City; and various festivals including the Lanaudière International Music Festival, the Ottawa International Chamber Music Festival, the International Music Festival of the Domaine Forget, the Orford Festival in Quebec, Festival of the Sound in Parry Sound, and Festival of Ste-Pétronille. Many of his performances, in recital, in chamber music or with orchestra, have been broadcast by the CBC and Radio-Canada, as well as WFMT in Chicago and Kol Hamusica in Israel. Jimmy Brière is a member of Trio di Colore, along with Guy Yehuda on clarinet and Yuval Gotlibovich on viola. Gold medal winner of the Fischoff Chamber Music Competition 2004, the group has played for the past three years in Canada and the USA. He was the First Prize Winner of the Hong Kong International Piano Competition (1997) and Prize Winner at the Porto International Piano Competition (1996). Mr. Brière is Guest Professor at the Music Faculty of the University of Montreal. A graduate of the University of Montréal, of the Indiana University School of Music and of the Glenn Gould School of Toronto, Jimmy Brière’s main teachers have been Marc Durand, Leon Fleisher, Menahem Pressler, and André Laplante.